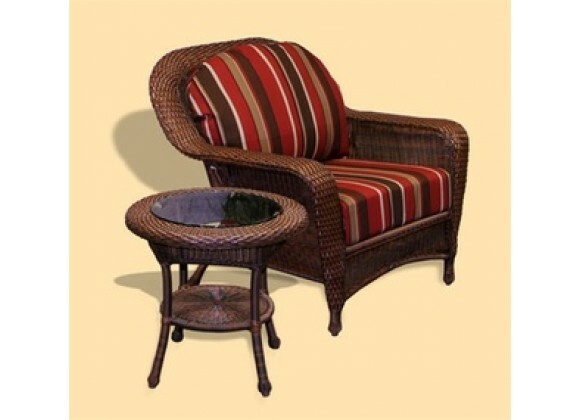 Outdoor all weather wicker is unlike natural wicker, our all weather wicker is stain, water, uv, crack and split resistant. These Powder coated aluminum frames are made up of 100% spun polyester cushions. Mildew and fade resistant fabric w/ Skylark Willow pattern. Heavy table tops made of 1/4" clear tempered glass. Java colored wicker with skylark willow fabric pattern. 3 year limited warranty. Heavy; 1/4? clear tempered glass tops.